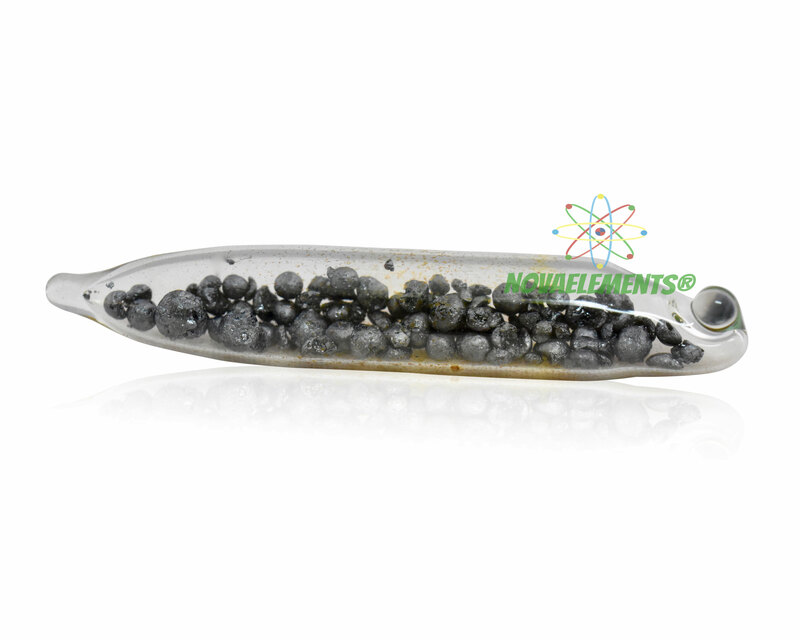 Iodine is another non-metallic element belonging to the halogen group with chemical symbol I and atomic number 53, Iodine is a volatile solid and bright dark blue at normal pressure and temperature. Iodine releases highly toxic violet vapor in the air, in fact we usually sealed in glass ampoule and we not put this element in vials, but we can make it under customer request. High purity Iodine element 53 sample of about 1 gram crystals/pellets sealed in mini ampoule and placed inside our glass vial with colored label. Pure Iodine element sample. It is the only safe way to store this element.